Classic chic, retro or contemporary the polka dot design goes on and on. 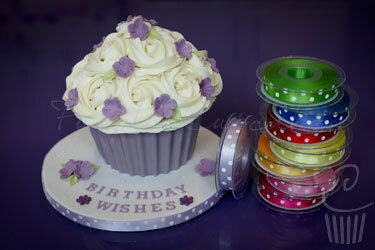 Perfect for going around your cakes and cake boards. 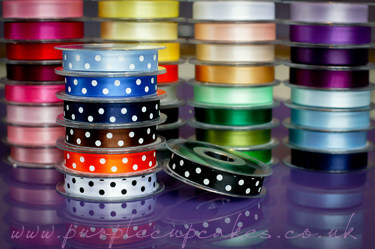 The colour choice is the ribbon shown seperate to the pile. As with all our products, we use this ourselves.